Elite Checking is a tiered interest-earning account. It’s a great option if you carry higher balances and want extra benefits. Applying typically takes 10 minutes or less. There is a $25 opening balance requirement. Otherwise, a monthly service fee of $15.00 applies. You can receive free e.Statements or free paper statements with this account. 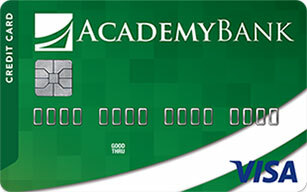 1 We use the daily balance method to calculate the interest on your account. This method applies a daily periodic rate to the principal in the account each day. The Annual Percentage Yield (APY) shown is accurate as of 04/25/19. The interest rate may change after the account opening. Fees may be charged to the account, which could reduce earnings on the account. If the account is closed prior to the interest payment date, no interest will be paid. 2 No fees for withdrawals, transfers, balance inquiries or denied ATM transactions at ATMs in the MoneyPass® Network if you have a MoneyPass® logo on the back of your card. MoneyPass® Network ATMs are within the U.S. only. 3 Message and data rates charged by your mobile phone carrier may apply. 4 Deposits are subject to verification and not available for immediate withdrawal. Deposit limits and restrictions apply.